Governor Ayodele Fayose has taken a swipe at the Federal Government over what he perceives as lies being told to Nigerians in the case involving over 50 students who disappeared from the Government Girls Science Technical College in Dapchi, Bursari Local Government Area of Yobe State, after Boko Haram attacked the school. The governor criticised the Federal Government saying that whenever it boasts of defeating the insurgents, greater tragedy always occurred. He said this in a statement signed by his Special Assistant on Public Communications and New Media, Mr Lere Olayinka on Thursday, shortly after the news of the abduction broke. “The Federal Government should stop lying concerning the fight against Boko Haram insurgents because it has now become the tradition that whenever the government boasts of defeating the insurgents, greater havoc is wrecked on the country,” he said. Speaking further, the governor responded to a report released by Transparency International (TI) on the corruption index in the country. According to him, the report vindicates his position that the All Progressives Congress (APC) government of President Muhammadu Buhari was not fighting any corruption. “Transparency International only confirmed what I have said before that President Buhari is only hiding under anti-corruption fight to harass his perceived political foes while protecting corrupt people in his government. “Transparency International has placed a question mark on the President’s claim to integrity. Fact is that President Buhari is presiding over the worse form of corruption in the history of Nigeria. 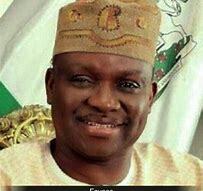 “Despite their propaganda, they have not been able to hide the rot in their government from the eagle eyes of international organisations like the Transparency International,” Fayose said. The governor also questioned the leadership of the Acting Chairman of the Economic and Financial Crimes Commission (EFCC), Mr Ibrahim Magu to head the agency despite being indicted by a report from the Department of State Security (DSS).